You are currently browsing the Archaeofacts.com archives of Musings for the day Wednesday, October 21st, 2009. 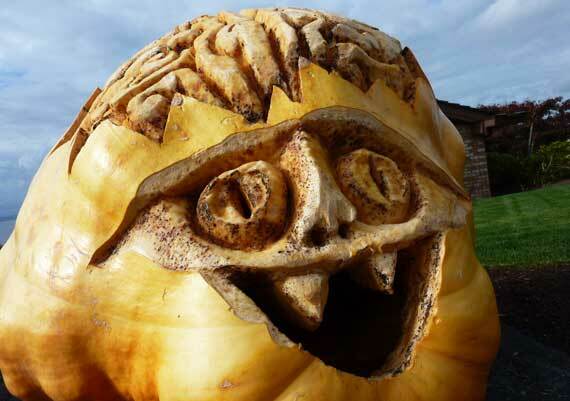 This elaborately carved pumpkin had a spotlight, and no other accompanying (or distracting) decorations or artwork. I wonder if that will change in the coming days…. So, are Halloween and Xmas, in their current USofA incarnations, the holidays that consume the most biomass in decorations?